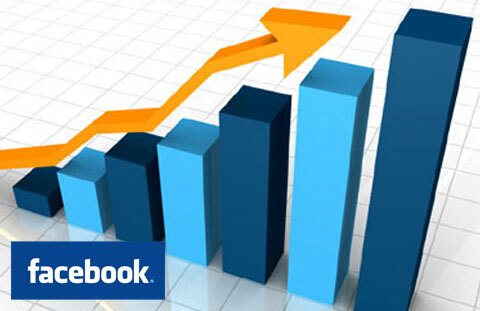 Facebook has been a long standing tool for effectively marketing a brand or organization. In this article, we take the time to look at one specific strategy which has proven to be very effective in generating both new traffic to your facebook page, and providing more exposure for your business. This article is part one of a multi-part series covering effective social media marketing techniques that we wanted to extend to you. Hopefully you can find some tools which help you to further your reach in social media. Before you hit the web ready to go with your contest, proper planning is essential. You need to look at your business and decide what your social media goals are and devise which is the best strategy to reach those goals. For example, if your goal is to generate a larger number of followers (or likes) for your page, then you will want to be sure that your contest centers around that. Conversely, if you are seeking more traffic to your website instead of focusing on facebook numbers, then you should tailor your contest to achieve that goal. The bottom line is that having a plan before you get started with your campaign will help to focus your attention and streamline your contest and your efforts to be as effective as possible. A Share contest requires participants to share a specific post or page to enter. Share contests are designed to gain more exposure for a brand or page. Participants enter by sharing content, and a winner is chosen at random. This type of facebook contest requires little effort to manage, and usually results in a high rate of participation. Additionally, share contests are great for other social media platforms like Twitter, and Instragram. This strategy is fairly difficult to manage unless your page is relatively small. The participants enter by getting other people to like the page. Participants must also get those people to post to the page stating who suggested them. You would then go down the posts to the page and tally up the number of people who liked the page for each participant. The winner is whoever generated the most likes. -Mary is a participant in the contest. -She gets her two friends, Joe and Alex to help her in the contest by liking the page. -Joe and Alex like the page. They then post to the page, citing Mary as the person who suggested that they like the page. You can see why this can be an issue with a very large page. However, it is one of the few contests that specifically targets “likes”. In this strategy, a participant must make some sort of purchase in order to enter into a contest. A winner is chosen at random from a list of people who made that specific purchase. Another way to run this type of contest is to set a time frame and then each person who makes any purchase during that time frame is entered. This type of contest is designed to not only create some revenue, but to generate more traffic to your actual website. A great strategy for generating website traffic, sign up to enter contests work around the premise of creating more users on your site. A specific time frame is given, and in order to enter the contest, the participant must sign up to the site. A winner is then chosen at random from the names of people who joined or signed up for the website in your specific time frame. This type of contest generates a lot of engagement. Participants must create and submit their own content to enter. A winner is voted by the other followers on facebook. For example, let’s say you’re a t-shirt company. You would run a design contest in which people submit their own t shirt designs. You pick the top 3 designs as finalists. These finalists are then voted on by facebook users to decide a winner. This type of contest is somewhat time consuming, it does generate a lot of engagement and activity. It helps your page to seem more relatable, and gives your users a sense of belonging. They feel like they are participating in something, that that creates brand loyalty. You want to be sure that your Facebook contests are the appropriate length. If your Facebook contests are too short, your followers may miss out on entering. Conversely, if your contest is too long, people will lose interest. The time frame of your contest will heavily depend on both the type of contest, and number of potential participants. If you already have a lot of followers, then a longer contest is more effective. If you have a smaller number of followers, then keep your contest short enough to keep attention, but long enough to allow people time to enter. Generally speaking, a good length for a contest is anywhere between a week and a month. Keep in mind that you will have to keep track of everything, so if you have a lot of people participating then tracking that data becomes more difficult. Whichever time frame you choose, it is imperative that you stick to it. Even if there is little participation, you must follow through. A $10 starbucks card isn’t going to cut it. Consider what kinds of incentives you would drive you to participate. If possible, try to pick a prize that relates to your business. Remember to take into account the effort a participant has to put into entering the contest. If all they had to do was hit “share” then a smaller prize is enough incentive. However, if they had to create something and submit it then you want to look at a bigger incentive. Of course, there are more options out there for incentives. Be creative in picking a prize! Ideally, your contest can be promoted on all social media platforms. You want to make sure that you get the word out before the contest starts. Remember, facebook only allows 4% of the people who like your page to see any organic post. I highly suggest tossing in a few dollars towards Facebook ads to promote the contest before it takes place. Make sure to clearly state the start and end dates of the contest, how people enter, and the prize. A great idea is to create a graphic with the information. Graphics are easily, and frequently shared on all social media platforms. A graphic is a great way to generate awareness of your contest. I would suggest promoting your contest beginning 2 weeks before your start date. Mention the upcoming contest on social media regularly! Post pictures of the prize, and remind people to be on the look out. Feature the contest on your home page. Change your profile photo to somehow incorporate your contest as well. Promoting a contest is a great way to not only increase participation, but also to generate traffic before your contest even gets started! How you choose your winner will depend on the type of contest you are running. Whatever method you choose, make sure that it is fair, transparent, and unbiased. If users feel that there was bias in choosing a winner, your contest will backfire. Announce your winner to followers. Participants want to see that even if they didn’t win, somebody did. This will also make the winner feel special, and give them gratification for participation. Make sure that no matter what- you follow through. Follow through is very important in order to maintain reputation. Legitimacy is based on follow through. Don’t slack on delivering prizes in a timely manner. Make sure that you send the prize you offered. Facebook is a great tool for promotion. Facebook Contests give your followers incentive to work for you, by offering them incentive. Contests are a great way to establish open communication with followers. They create engagement and make your brand more relatable. Contests increase exposure, and put your brand in front of a much larger audience. When run correctly, a facebook contest is a very effective social media marketing strategy. Stay tuned for part 2 of this series on social media marketing! © Copyright 2015, Pixel Solutions Inc. All rights reserved. facebook contests.